Media | CamCentral Systems Inc.
CamCentral Systems Inc. is an industry leader in advanced digital video surveillance technology product sales and system integrations. The company was founded in over 30 years ago 1985 and is currently based in North Vancouver, British Columbia, Canada. CamCentral Systems Inc. has a long history of providing reliable digital video surveillance solutions and excellent customer services in a variety of industries. Certified products are shipped worldwide to customers who choose CamCentral Systems Inc. for their digital video surveillance products and services. Please use the link below to download the CamCentral Systems Inc. company logo in a selection of file formats. 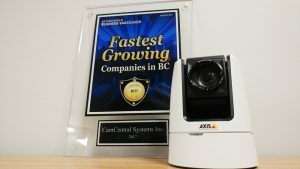 Please contact the sales department at the North Vancouver office location for additional CamCentral Systems Inc. media information, demos, logos and promotional images.